CG Vyapam Pre Bed Result 2018: Cg Vyapam has been declared the pre bed result on 10 july 2018 and now candidates can check their results here. there were a total 50000 candidates were appeared in the CG Vyapam Pre Bed examination and now CGPEB has been declared the entrance test result. candidates have to enter their Pre bed roll numbers to check their results. Cg Vyapam also declared the list of top 10 candidates so you can also get that list from official website. #Update (24-06-2018): CG Vyapam Chhattisgarh Professional Examination Board (CGPEB) has been declared Assistant Grade 3 and data entry operator (DEAG 2018) exam results to its official website. candidates who appeared in DEAG18 examination can check their results through the below-given link. Candidates have to enter their roll number to check their DEAG Exam 2018 results. CGPEB didn't provide name wise results so candidates must keep their roll number to check their results. After the written exam Result Typing test will be held for data entry operator and there is a minimum typing speed for qualification so candidates should start preparing for the DEAG / Assistant & DEO Exam typing test. 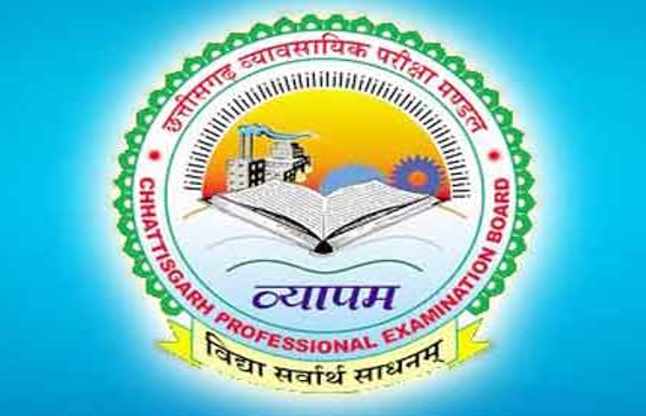 CG Vyapam NNSI Result 2018: Chhattisgarh Professional Examination Board (CGPEB) has been declared the NNSI Sanitary Inspector exam results on its official website. candidates who appeared in this examination can check their Results through the below-given link. Candidates have to enter their roll number to check their CG Vyapam NNSI Result 2018. CG Vyapam declared the result on 14 June 2018 now candidates have to appear for document verification. CG Vyapam also uploaded the list of top 10 candidates. so candidates who are checking their results should check the top 10 candidates list in the NNSI examination.